Directions: Transit Rd. or Klein to Renaissance Dr. to Haverford Lane. 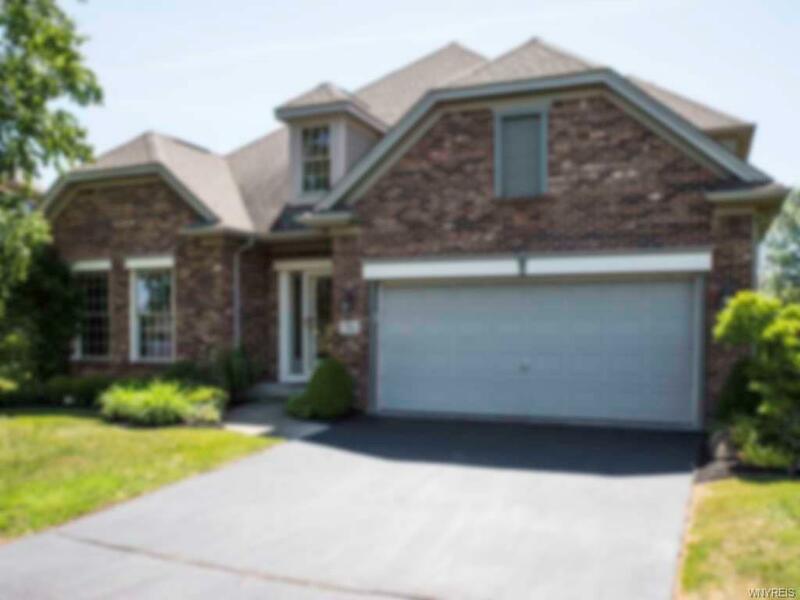 Gorgeous large 3BR, 2.5 bath patio in Nottingham Village on fabulous lot! Open the door to formal DR w/ pillars & open concept. High end kitchen w/ tall maple cabinetry, granite, prof grill top, built in oven, microwave & warmer. Huge LR w/ stunning fireplace that opens to additional sitting room/den. There is a built-in bar area & 1st floor laundry. Master suite has built-ins in closet, whirlpool tub, porcelain floor & separate shower. Second floor loft has built-in bookcases, 2 large BRS & bath w/ fully tiled shower. Beautiful columned patio w/ gas grill looks out to rare, spacious yard fully landscaped. Deep basement has huge cedar closet & generator. Extra pull down access over garage for storage. If you have been waiting for the premier unit this is it! Please contact me with more information about the property located at 76 Haverford Lane, Amherst. The MLS number is B1170708.